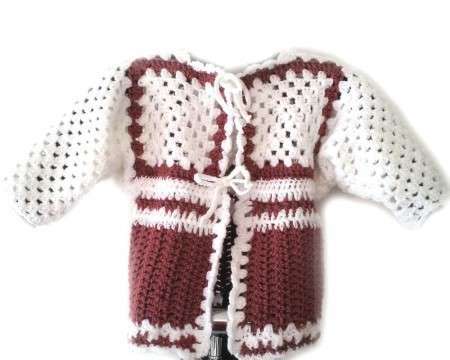 The sweater/jacket is made of imported acrylic yarn. It has two ties for closure and is a little bit longer than the other sweaters. Measurements are 20" around the chest and 12.5" from top of shoulders to bottom.